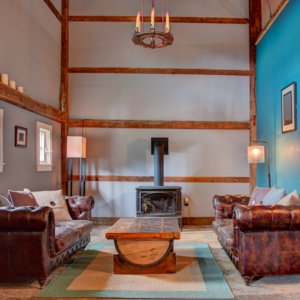 Winter in New England is a time for cozying up and spending relaxing time inside. 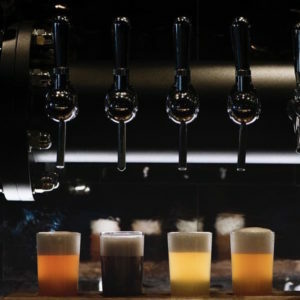 So how does sipping a locally-brewed craft beer in a warm and hip atmosphere sound?? 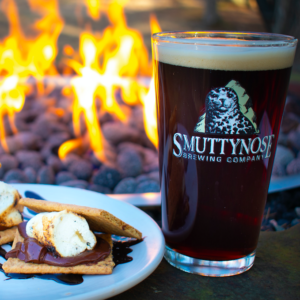 Below are seven places to enjoy a frosty and so much more here on the Seacoast—from Hampton, New Hampshire up to Kennebunkport, Maine! Happy Fe-BREW-ary!! 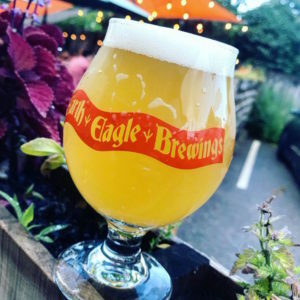 Established in 2012, Earth Eagle Brewings: Brewpub & Homebrew Supply is a local brewpub nestled into a side street in the heart of downtown Portsmouth, New Hampshire. 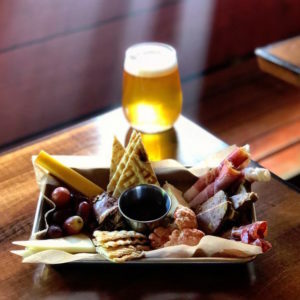 This local favorite offers lunch, dinner, light snacks, and hand-crafted brews seven days a week. Earth Eagle Brewings offers a wide variety of craft beers and cocktails as well as wine and a full menu of food. On Fridays and Saturdays, it’s open until midnight! On Monday nights, enjoy live (mostly) acoustic music, and check out the events calendar for more Earth Eagle happenings throughout the year. During warmer months, enjoy the coastal breeze in the outdoor beer garden! If you’re looking to brew yourself, Earth Eagle’s retail shop offers home-brew supplies! The shop also carries beer-related gifts, Earth Eagle cans (4-packs), and branded merchandise. 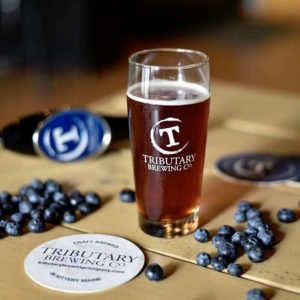 Known for its well-crafted and diverse beer styles, Tributary Brewing Co. in Kittery, Maine is a destination that offers great beer, good company, and live music. Join your friends, family, or neighbors from near or far for a fun afternoon! Enjoy a flight of Tributary’s craft beers (Wednesday through Sunday) while gazing into the brewhouse where the magic happens! When making plans to visit, see what’s on tap, and take a peek at the events calendar to see which local talent is performing! 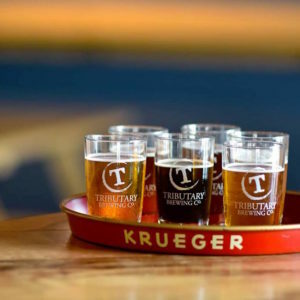 In addition to its welcoming tasting room, Tributary beer is also available at the Kittery Community Market and at these local markets. 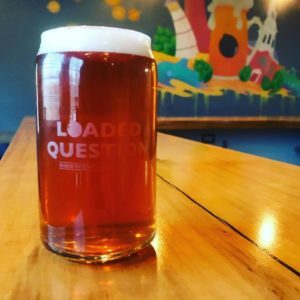 Loaded Question Brewery is dedicated to understanding the infinite possibilities of craft beer and making memorable moments with fellow beer lovers. 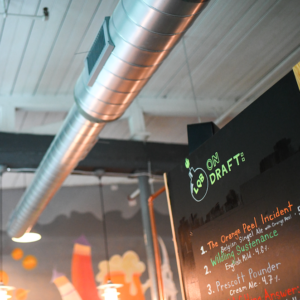 Located in Portsmouth’s up and coming West End neighborhood, Loaded Question is the perfect stop for an afternoon pint! 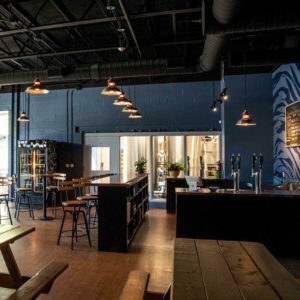 Loaded Question is open daily (with the exception of Tuesdays), and serves a variety of tasty craft beer and food at its West End brewery! Be sure to stay tuned to Seacoast Lately’s weekly events calendar and Loaded Question’s Facebook page to stay up to date on special events like beer dinners and collaborations with local businesses. We especially love “Suds & Salutations“, Loaded Question’s weekly brewery yoga series! 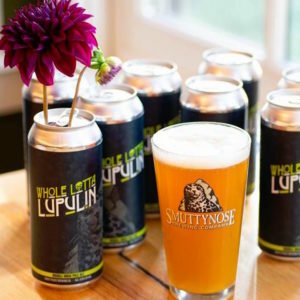 Located in Hampton, Smuttynose Brewing Company is one of New Hampshire’s first breweries, whose mission is to brew fine, fresh, distinctive beers characteristic of New England’s wholesome origins. 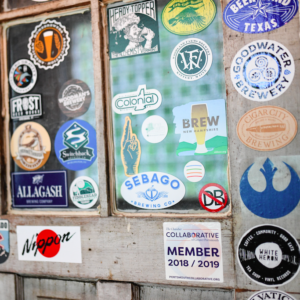 Named after New Hampshire’s beloved Isles of Shoals, this Hampton, New Hampshire-based business has been leading the Seacoast’s craft brewery movement since its creation in 1994. 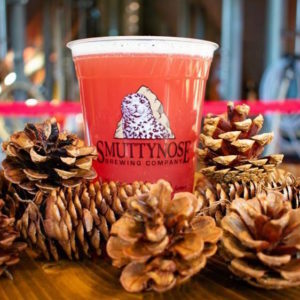 Smuttynose offers many activities and special events at its Towle Farm headquarters throughout the year. 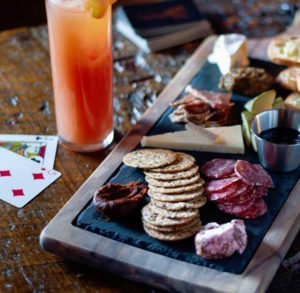 Enjoy a meal at their restaurant, Hayseed, after a tour and tasting in the brewery. Bring your dog to the outdoor biergarten, experience a one-of-a-kind event, and maybe enjoy a round of disc golf during the warmer months! 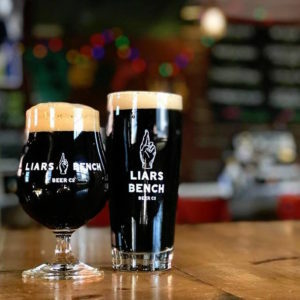 Liars Bench is a hip West End neighborhood brewery housed in an old plumbing supply warehouse. Co-owners and former college roommates, Dane and Dagan, brew craft beers that are rooted in tradition and have a unique flavorful edge. Liars Bench is the perfect spot for a mid-day pint, weiner Wednesday fix (Get the lamb sausage; you’ll thank us later. ), or evening nightcap! 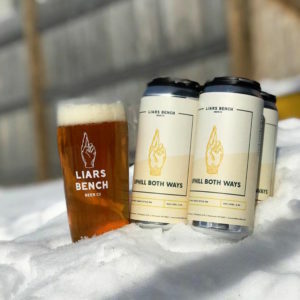 See what’s pouring at Liars Bench every day of the week, and be sure to check out their food menu too. 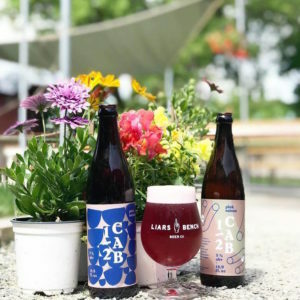 If events are your thing, stay tuned right here, and make sure to follow @liarsbenchbeer on Instagram! When it’s nice outside, take in a few rounds of corn hole and chillax in the outdoor beer garden! 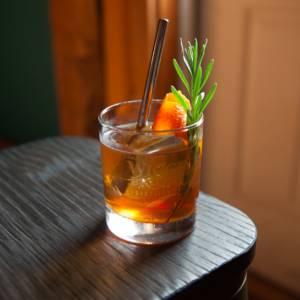 Let’s get in the “spirit”, and celebrate some Seacoast distilleries too! 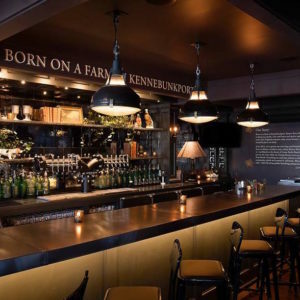 Born on a farm in Kennebunkport, Batson River Brewing & Distilling delivers “Maine” in a bottle with craft beers and spirits that capture the joy of sweet New England summers, salty ocean breezes, and life in one of the most beautiful places on earth! Since 2014, Batson River has grown its own hops and botanicals on a centuries-old farm on Maine’s southern coast, where the Batson River winds by the farm, through marshlands, and arrives at the shores of Goose Rocks Beach. “The Social Hour” at Batson River takes place daily from 4:00 – 6:00 pm. During this time, cocktails are $7, and beer and small bites are $5! 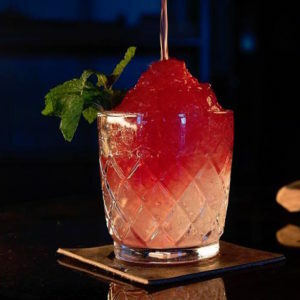 Do you know Batson River also offers cocktail classes?? With a passion for giving back, 4% of Batson River’s profits benefit animal shelters in Maine! Wiggly Bridge Distillery was founded by a father and son team in their hometown of York, Maine. With a distillery located on Route One, and a tasting room at York Beach, Wiggly Bridge Distillery serves unique spirits that are all made in small batches with the highest standards to ensure the finest products. 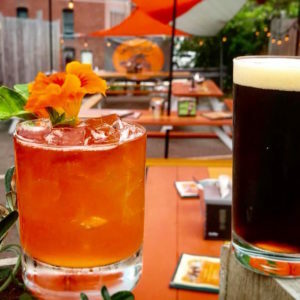 In addition to serving craft cocktails on the daily, and live music on Saturdays (during their weekly “Saturday Night Live” from 5:00 – 7:00), Wiggly Bridge Distillery also offers tours, tastings, and cocktail classes! In recent news, Wiggly Bridge Distillery started offering small bites Thursday through Sunday, and just released the new “Agave” spirit (another name for tequila). Learn how Wiggly Bridge used a local coffee bean to create bourbon barrel-aged coffee and how they incorporated Maine Gold syrup into a rum barrel-aged maple syrup! Photo credit: Heidi Kirn Photography.